As the third town within the administrative district of Böblingen, Waldenbuch has now joined Holzgerlingen and Herrenberg and introduced the "Tütle" paper carrier bag. With the Waldenbuch "Tütle", participating firms and institutions pursue three main goals under the slogan "Together for Sustainability": fewer plastic bags, more biodegradable waste, and winning over more partners in this Schönbuch town to cooperate for the benefit of the environment. The bags produced by the firm Apomore GmbH in Dettenhausen are made of 100% recycled paper, manufactured in Germany using carbon-neutral techniques and are even resistant to rain. A total of 15,000 bags in three different sizes have been ordered and delivered. The bags in size M, L and XL are obtainable from participating firms and institutions and cost 10, 15 and 20 cents respectively. Production of the bags is supported by Böblingen's waste management authorities. Even if the bags are made of 100% recycled paper and no trees have to be felled to produce them, Apomore GmbH has sponsored 15 trees to be planted for Waldenbuch as part of the campaign "Plant for the Planet" – one for every 1,000 Waldenbuch bags. 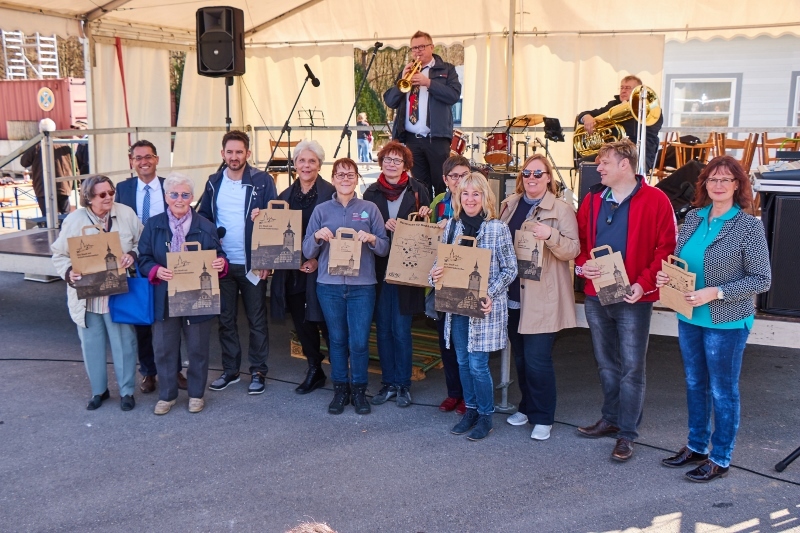 The bag's attractive design, which was jointly devised by entrepreneurs, the Association of Trade and Industry and the town, makes the Waldenbuch "Tütle" suitable not only for use as a shopping bag or to store biodegradable waste, but also as a gift bag for friends and relations. The outside shows the town of Waldenbuch with its districts and special attractions, and the inside can be filled with the best treats that Waldenbuch has to offer.